In July 1999, prior to his death, Gordon Wallis established an opera competition to encourage and assist young Saskatchewan singers in furthering their vocal studies in opera. 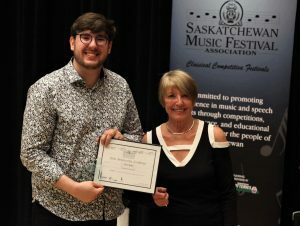 Held every two years under the administration of the Saskatchewan Music Festival Association, its $5,000 first-place prize is one of a kind in Canada. In addition to the prize money, the winner may be featured as guest artist with the Regina and Saskatoon Symphony Orchestras. The next Wallis Opera Competition will be held in February of 2020. The competition is open to non-professional* vocalists, between 20 and 35 years of age. Age restrictions are as of December 31 of the year preceding the competition. Previous first-place winners of the Opera Competition are not eligible to enter. Only those of talent and industry, who have the necessary potential for a possible career in the operatic world, should consider entering the competition, otherwise no scholarship will be awarded. *A non-professional musician is defined as a person whose principal means of livelihood is not obtained from the performance of music in the particular category in which he or she is competing. This stipulation, however, does not preclude such a person having occasionally received remuneration for musical services rendered, even in the area in which he or she is competing. submit an entry form online by January 19 along with the fee of $75, a biographical paragraph, photo, and a brief synopsis of each selection. Failure to comply with competition regulations may result in disqualification. No changes to repertoire will be permitted after the entry close date. A master class will be offered on the second day. The winner is announced following the master class. All competitors must attend the entire master class and be in attendance for the announcement of the winner. The judges’ decision is final. 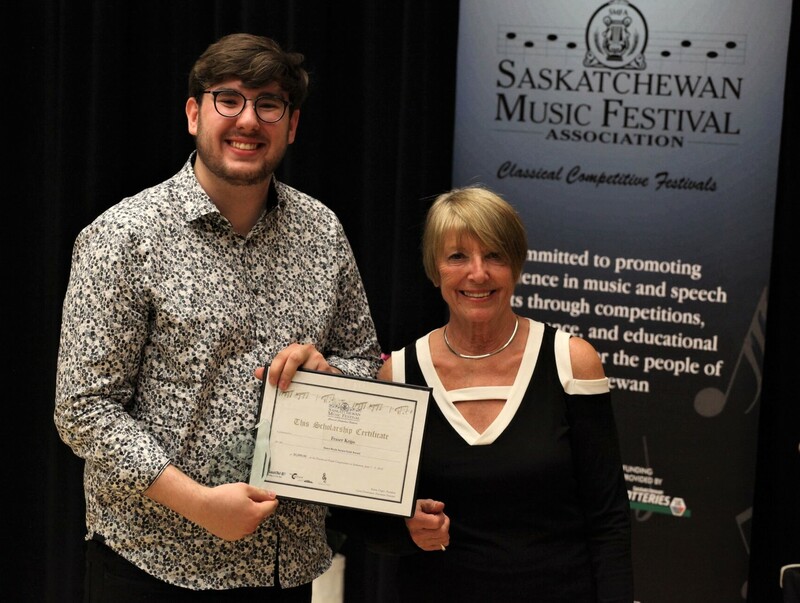 The Saskatchewan Music Festival Association’s Concerto Competition is held in conjunction with the Regina and Saskatoon Symphony Orchestras, and sponsored by William Shurniak. Originally an annual event, the competition is now held every two years, alternating between Saskatoon and Regina. The next Concerto Competition will be held in February of 2021. The first place winner receives a $2,000 scholarship and has the opportunity to appear as a guest artist with the Regina Symphony Orchestra and the Saskatoon Symphony Orchestra. Second-place and third-place scholarships of $750 and $500 may also be awarded. The competition is open to non-professional* musicians, between 14 and 30 years of age. Age restrictions are as of December 31 of the year preceding the competition. All solo instrumental categories will be considered. Previous first-place winners of the Concerto Competition are not eligible to enter. Only those of talent and industry, who have the necessary potential for a possible career in music, should consider entering the competition. *A non-professional musician shall be defined as a person whose principal means of livelihood is not obtained from the performance of music in the particular category in which he or she is competing. This stipulation, however, does not preclude such a person having occasionally received remuneration for musical services rendered, even in the area in which he or she is competing. Changes to the repertoire will not be permitted after the entry close date. The winners will be announced following the competition. The judge’s decision is final. Notwithstanding any other provision in these Regulations, the Saskatchewan Music Festival Association Inc.’s Board of Directors shall be the final and binding decision-making authority on all matters pertaining to competitions administered by the SMFA. District Festival Competitions are held annually in forty-eight locations throughout the province, beginning in March and ending in May. Scholarships and awards are available locally at each District Festival. Please refer to the Festival Date Listing and Festival Dates and Contacts for additional information. For the rules that govern the district competitions, refer to the SMFA Directory General Regulations and Scholarship Regulations. The Provincial Finals Competition is an event, held the first weekend in June of each year, during which the district winners compete provincially for scholarships, awards and the honour of representing Saskatchewan at the National level of competition. Please refer to the SMFA Regulations & Scholarships (below) for more information.The 2019 Provincial Finals will be held in Moose Jaw, May 30 to June 2. An annual Provincial Competition will be held for selected representatives from District Festivals. Scholarship winners are selected by the adjudicator and, in each case, will be awarded to the competitor who, in the opinion of the adjudicator, has given the most outstanding performance. If, in the opinion of the adjudicator, the standard attained is not of sufficient merit, the scholarship will not be given. District Festivals are allowed one District Winner to the Provincial Finals for each of the National and Provincial Award classes. District Festivals with over 1,000 entries are allowed to send an additional District Winner for the Senior levels only. An accurate record of all competitors entered in Provincial Classes, including name, contact information, and marks, must be maintained. District Winners must be selected by the adjudicator and notified immediately following the scholarship meeting. Completed pages of the District Winner Recommendation Chart (signed by adjudicator) must be sent to the Provincial Office (via e-mail or fax) immediately following the scholarship meeting. comply fully with the Regulations. enter and compete in at least two solo classes in the same discipline at their District Festival. Instrumentalists must compete on the same instrument, with the exception of percussion, where performers play more than one percussion instrument. This rule does not apply to the pianist in the lieder class. A National Class will not be considered as one of the two classes. Musical Theatre and Voice are considered separate disciplines. obtain a mark of 87 or higher. In classes where two selections are performed, the combined mark must average 87 or higher. provide their own accompanist, page-turner, and instrument (piano being the exception). eligible for selection as District winners from one or more District Festivals, providing they are not recommended in the same Provincial scholarship class. required to represent the festival where they received their first recommendation. not eligible to compete in more than one category in the same discipline (e.g. Intermediate and Senior; Junior and Intermediate) nor in Grade A and Grade B Voice. Memory work is mandatory at the Provincial level with the exception of the pianist Lieder Class 15350 (see page 16 of the SMFA Syllabus for Provincial Level of National requirements). Competitors and accompanists must provide an original score or authorized copy of their music before performing. Number the first bar of each line in the scores and each fifth line of the Speech Arts selections. Competitors will perform one selection only in each scholarship competition at Provincial Finals except for the Vocal Concert Group Classes and Speech Arts Concert Group Classes. The selection must be the one recommended by the adjudicator at the District Festival. The performer may choose which selection to use if recommended from a multi-work class or a class where two selections were performed, unless the adjudicator specifies the selection. Competitors may perform one or more movements of a multi-movement work, to a maximum of 20 minutes, provided all chosen movements were performed in the same Provincial Class at the District Festival. Recordings may be done during the performance or any time before the entry deadline. Recordings must be done with the same choir, conductor, and accompanist as in the original performance. The first take must be used. A festival official must supervise and witness the recording. Recordings must be checked for completeness before being forwarded to the Provincial Office. Arrangements and costs for the recording of these classes is the responsibility of the participating Choral Directors and must be made in consultation with the District Festival committee. High quality recordings (two selections per class) must be submitted as per instructions on the entry form. No acoustic or electronic compensation, filtering or other enhancement is to be used while recording. Recordings and scores should contain no reference to the name of the choir, its conductor, or the festival from which they have been sent. In the event that a recording made during the scheduled performance is blank or seriously compromised, a substitute recording may be made under the conditions outlined above. A complete original music score for each selection, containing choral parts and accompaniment, in the proper key, is required for the adjudicators. The first measure of each line in the score must be numbered. All copyrights must be observed. At the conclusion of the final sessions of each discipline, the adjudicators will select the competitors to advance to each Grand Awards Competition. Each adjudicator will spend a few moments with the competitor(s) they have chosen, to advise them concerning the selection(s) to be performed, as they will be competing for our most prestigious awards. Competitors must choose selection(s) that they have performed during Provincial Finals. There is a 10-minute time limit, which may necessitate an abridged version of their selection(s). Immediately following this discussion, the competitors must report to the on-site festival office. No music is required for the adjudicators for the Grand Awards Competition. After the Grand Awards competition, the judges will deliberate and choose the winners. Competitors must enter the National Class at the District level and be recommended by the adjudicator to proceed to the Provincial level of Nationals. District Festivals may send one representative in each National Festival Class 10001 through 10009, and in each of the National Choral Classes to the Provincial level of competition. A choir may enter only one National Choral Class. Eligible winners of each discipline, if recommended, then progress to the National Music Festival. NOTE: THE NATIONAL CLASS IS A SEPARATE COMPETITION FROM PROVINCIAL FINALS. COMPETITORS MAY ENTER A NATIONAL CLASS WITHOUT ENTERING A PROVINCIAL CLASS. Memory work is mandatory in Voice, Piano, Strings, Guitar, and Musical Theatre. Memory is encouraged, but not mandatory in other solo disciplines. At the Provincial level of National Competition, each competitor is allowed 40 minutes (including time between selections). must consult the National Music Festival Syllabus (available online at www.fcmf.org or Provincial Office). may enter a National Class only in the province in which they live or study. If studying outside the province they must have competed in a Saskatchewan Music Festival within the preceding five years. may represent only one province at the National Music Festival. must obtain a mark of 88 or higher in Saskatchewan. Competitors in the National Classes will not receive an oral or written adjudication. First and second place marks are to be announced. must be 28 years or under with the exception of choral classes with no age limitation. Competitors under the age of 14 years on December 31 preceding the Festival, please refer to the FCMF Syllabus for special requirements. Notwithstanding any other provision in these Regulations, the Saskatchewan Music Festival Association’s Board of Directors shall be the final and binding decision-making authority on all matters pertaining to competitions administered by the SMFA. SMFA President, Karen Unger, is pleased announce that the 2018 Sister Boyle Gold Award of $1,000 was won by Fraser Krips, Saskatoon (percussion). The most prestigious award of the Provincial Finals Competition was presented by Joanne Messer at the Senior Grand Awards Competition held Saturday, June 2 in Quance Theatre, University of Saskatchewan. The Wallis Silver Award was won by Thomas Hu, Saskatoon (piano) and the Blanche Squires Memorial Bronze Award went to Dominic Ghiglione, Regina (trombone). Nearly 300 participants from Saskatchewan’s 47 District Music Festivals were heard by seven judges. Choral entries were submitted by recording and judged prior to the weekend competition. On Friday evening, June 1, intermediate competitors chosen from each discipline competed in the Intermediate Grand Awards Competition. On Saturday evening, June 2, senior competitors chosen from each discipline competed in the Senior Grand Awards Competition. Prizes of over $25,000 were awarded over the weekend. The Federation of Canadian Music Festivals (FCMF) is responsible for organizing the annual National Music Festival, which is held in a different location in Canada every year. This festival of classical music brings together the best students from every province. It is an opportunity for the students to perform in the top venues in the country, to interact and learn from each other, to participate in workshop sessions featuring Canada’s best adjudicators, and to compete for the top prizes in Canada. Please refer to the FCMF’s website www.fcmf.org for more details, including the national syllabus and all rules and regulations. 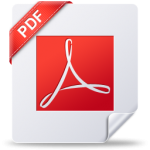 Adobe PDF Reader, it is a free download.